Contact us today at 1-877-943-7467 for a FREE consultation with one of our ID Solutions experts. 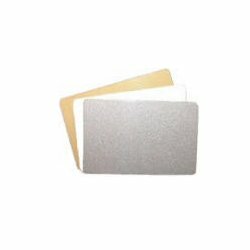 Clamshell cards are an older style RFID or prox card that is not designed for direct printing by any card printer. Most clients with these legacy systems use our adhesive backed cards with the same glossy printable surface as an ISO card so they can print a high quality image with their ID printer. Do I need hico cards? 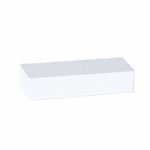 Hico refers to high coercivity magnetic stripe. If your application requires mag stripes, we recommend you contact us to be sure you get the right type as these systems require an exact match for encoding and reading the data. What are low/high frequency cards? 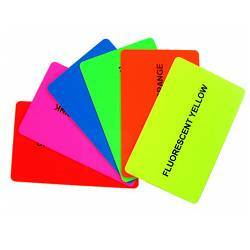 Low frequency RFID cards, typically known as prox cards, use 125Khz to communicate the embedded card number. High frequency RFID cards, typically known as contactless smart cards, use 13.56Mhz to communicate the encrypted card number inside. The most common branded names for these cards in the security industry are iClass or SEOS. 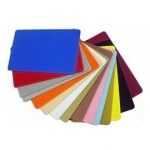 Blank cards do not expire however they should be stored in a temperature controlled environment with no exposure to UV light to protect the printable surface. How long can they sit on the shelf? They can sit on the shelf as they do not expired but need to be stored properly. Can I encode a number on my cards? Depending on the technology for reading cards, you may be able to encode a number on the cards. 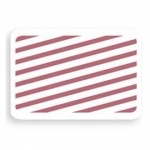 Magnetic stripes can be encoded with a printer that has a mag encoder installed and ID software that has encoding commands. Barcodes can also be printed with encoded information that can be read by many different readers. 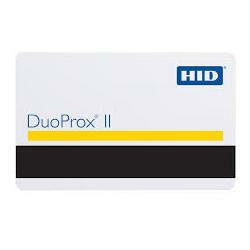 Most RFID cards come with a number preprogrammed on the chip from the factory so you would not encode this onsite. Why would I need composite cards? Composite cards are manufactured to be more durable and, particularly, withstand the heat that is associated with printing using a retransfer technology printer. Composite cards are highly recommended when printing with any retransfer printer, such as the Fargo HDP5600. How thick are the cards? 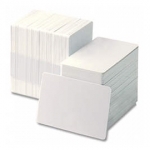 The industry standard thickness for cards used in most card printers is 30 mil. Some models are able to print thinner cards down to 10 mil, or thicker cards up to 50 mil. However the card path in every printer is designed for 30 mil so these cards will produce the best results and give the least amount of issues. 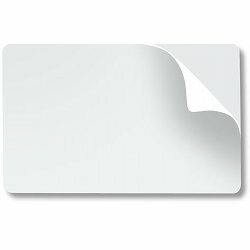 Can I add a mag stripe to a card? 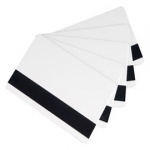 You cannot add a mag stripe to a card however we carry blank card stock with the mag stripe already embedded into the surface. Can I add a barcode? A barcode is printed on the card and works similarly to a font. The best results for barcode printing use the K resin black panel to produce crisp lines for any reader regardless as to whether you print linear barcodes like Code 3 of 9, or 2D barcodes like QR or PDF417. What size cards can I use? 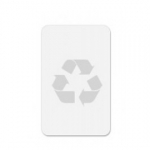 ID Card printers are typically manufactured to produce “CR- 80” size cards, which are the typical credit card size. 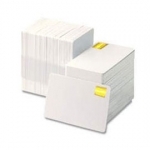 Many can print slightly smaller cards for adhesive back cards and other applications. Only a few specialized models can produce cards significantly larger than the standard size. Will my cards work on any printer? Yes. Unless specifically manufactured for a specialized purpose or for use on a special printer. 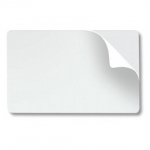 Normal blank white Composite PVC cards are universal.